Why is it that animals feel the need to place themselves right in the center of a work zone? 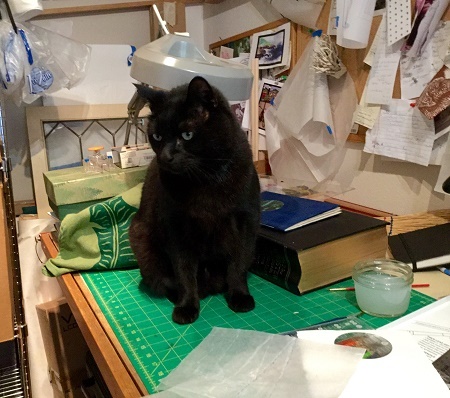 Nigel, thoroughly enjoying the ability to flow freely throughout the house, spends as much time as possible perched on my studio table, adding his own personal touch to everything. 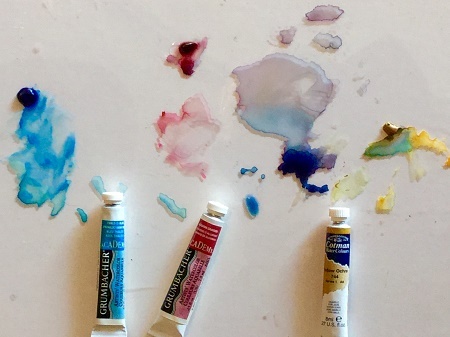 Enough with the studio companion (and the messy design space!). Today’s subject: Clouds! Another area I’ve never tried to draw! This morning we are experiencing large dark clouds moving through our area. I’ve been going outside and taking a couple photos every so often to see how they change with time. Clouds: Very loose and nothing overwhelming. I think it’s done…. 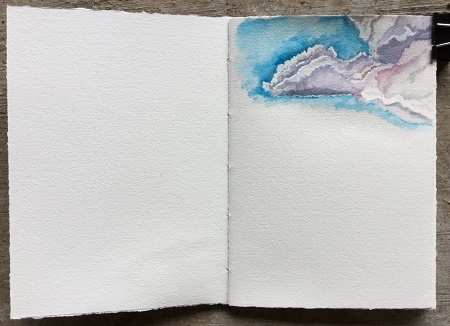 A5 Handmade sketchbook, watercolors, graphite, Arches CP WC 300 gr/m paper. Ah, clouds, gorgous! I’m really liking where this is going.